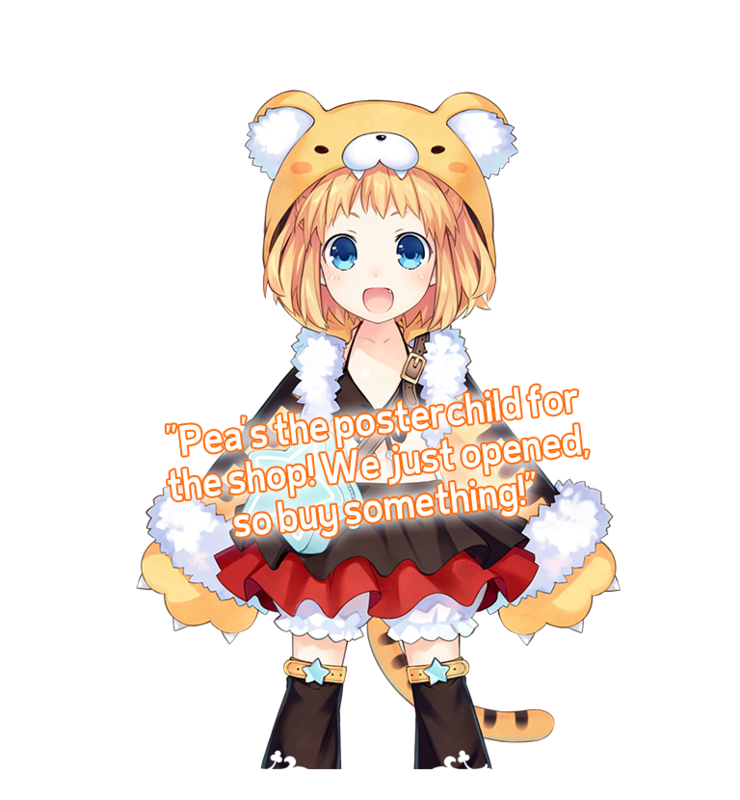 A bright and energetic girl who lives with Plutia. Innocent and eager for attention, her naiveté often drags others around, but she does display a shy side every now and then. Her attack known as the "Pea Punch" is really just something she does to play around, but, in reality, its power is immense. She chose the Tailor class so she could be like Plutia. 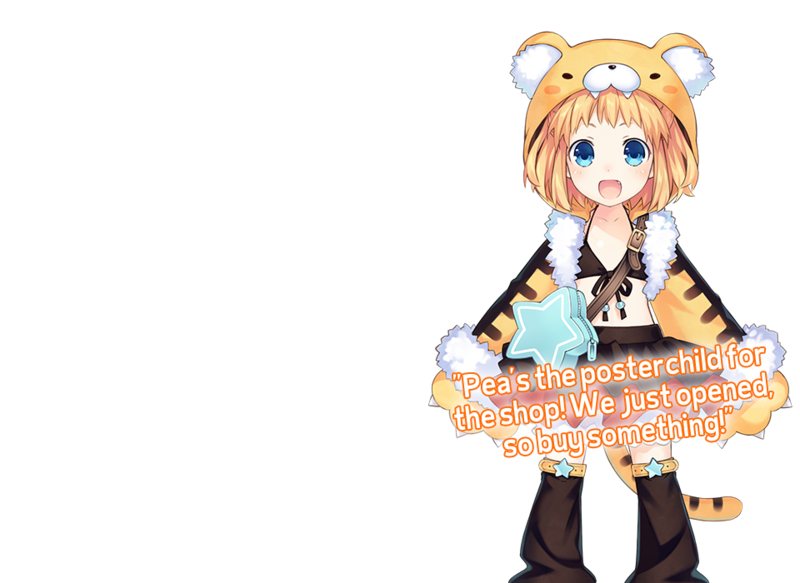 She acts as the posterchild for the shop she runs in the game as a way to draw in customers and boost sales.